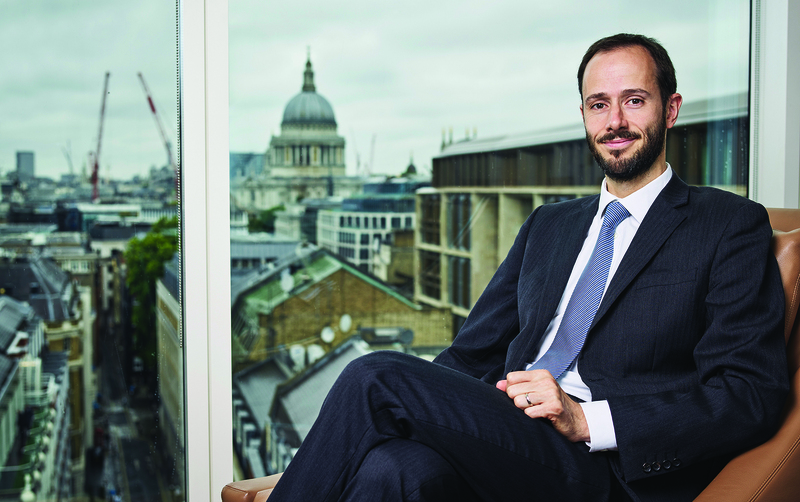 Toby Nangle, manager of the Threadneedle Dynamic Real Return Fund, presents an active asset allocation portfolio that seeks to deliver a return in line with UK inflation +4% per annum over a three to five year period. 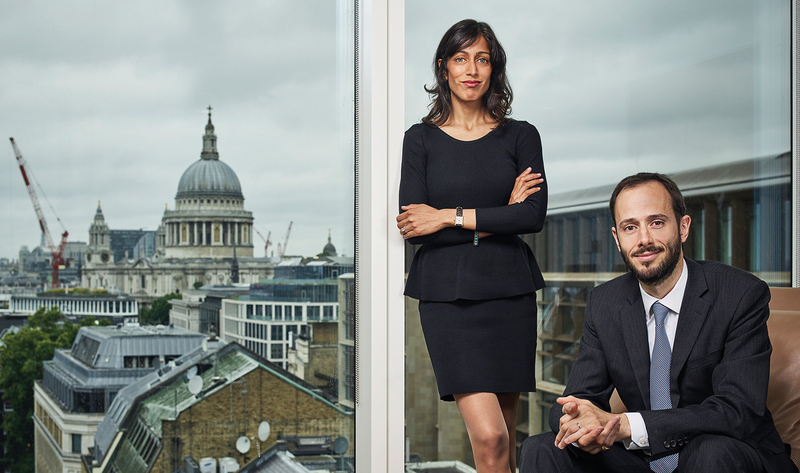 In this ebook, Nangle and deputy manager Maya Bhandari reveal the rigorous valuation framework the team use to help drive the portfolio’s construction. 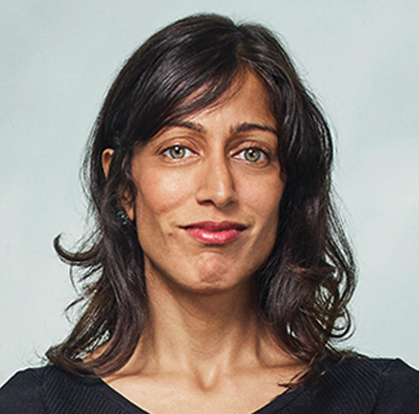 The Fund can be zero-weighted in any asset, Bhandari explains, and there is no ‘neutral’ allocation, so every investment position is a risk position. The rise of multi-asset solutions in recent years has been well documented and for good reason: years of easy monetary policy have resulted in high asset prices despite the fact that global corporate earnings have gone roughly sideways for ten years. “A diversified fund has to be dynamic with the ability to manage different opportunities and risks as they appear,” he says. “This means being responsible for every position in the portfolio and being exposed to areas where future growth on earnings is visible. “Through our Dynamic Real Return fund, we aim to blend the best ideas from around the world to deliver inflation plus returns for investors, but with controlled volatility.” Sitting in the IA Targeted Absolute Return sector, the Threadneedle Dynamic Real Return Fund seeks a real return of UK inflation +4% gross of fees and returns have come from a broad range of investments rather than any one allocation. The benefits of asset allocation have certainly become clearer to many investors over the past ten to 20 years. Regulatory developments, along with the changes to pension’s freedom and new hybrid products across equity, fixed income, and alternatives, have been pivotal in moving the focus for institutional fund management to multi-asset. And the growing interdependence of companies and national economies reflects a paradigm shift, requiring a global perspective to uncover and evaluate opportunities. 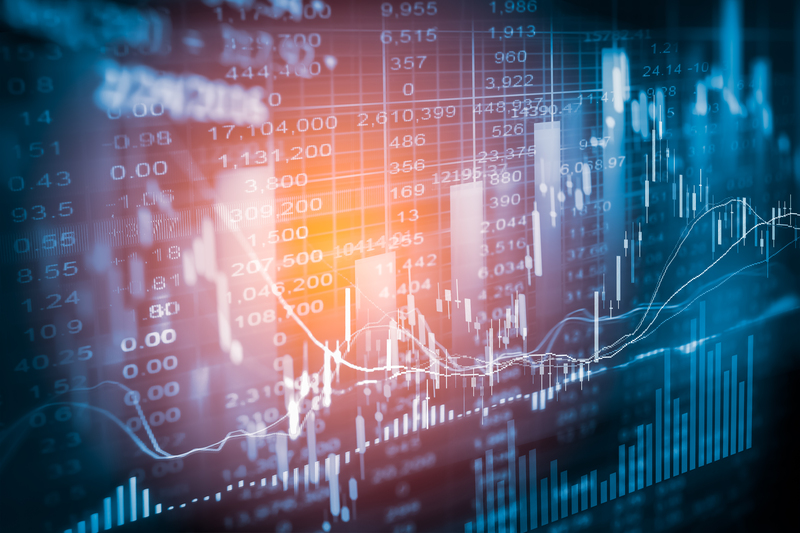 This has led investors and retirement savers to seek returns in riskier areas of financial markets, such as emerging market and sub-investment grade corporate bonds. And in the wake of RDR, advisers are now tasked with meeting ongoing client suitability requirements, with risk profiling and diversification among the most important components in deciding suitability. 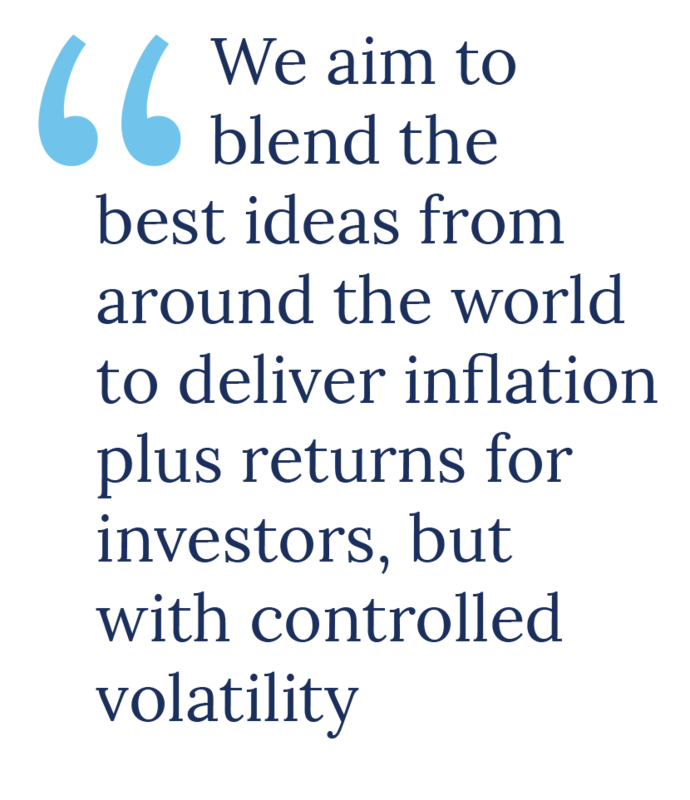 Toby Nangle is Head of Multi-Asset, EMEA at Columbia Threadneedle Investments and believes that proper portfolio diversification, along with an absolute return solution which lasts through the retirement cycle, is key to managing today’s episodically volatile market. Management of the fund is dynamic, active and index-unconstrained. 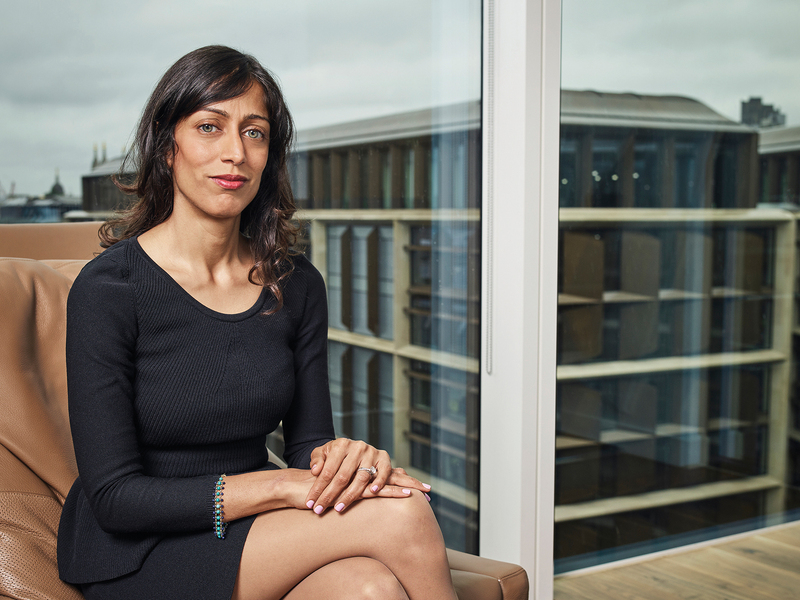 The fund uses a three-stage investment process which is used across all multi-asset strategies at Columbia Threadneedle Investments. 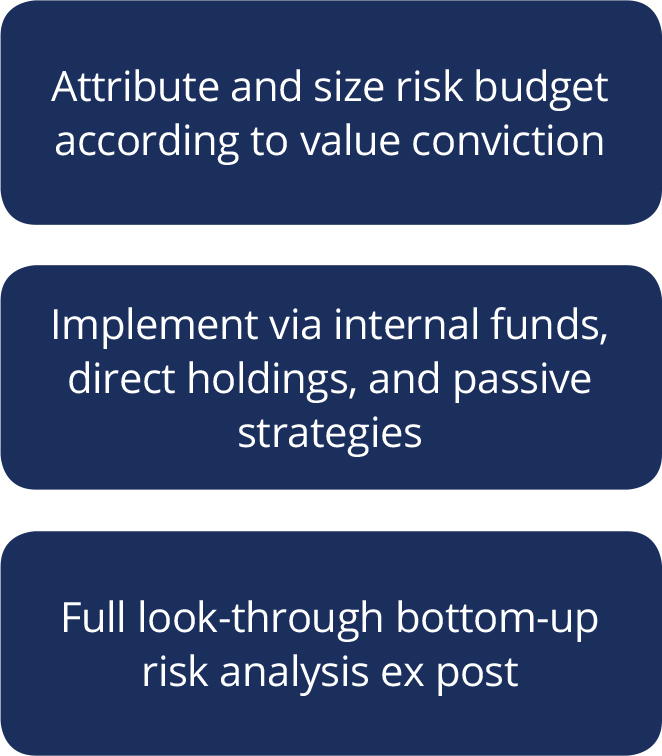 The fund focuses on high risk-adjusted returns, combining macro and micro insights. The fund was launched in June 2013 against a target of UK inflation +4%. It has delivered on this through periods of equity volatility since launch when it has been much more resilient during a sell-off than traditional assets. Since inception, the fund has generated positive returns consistently, primarily through well managed asset allocation. The annual returns range from 3.31% in 2015 to 8.65% in 2016. The fund has achieved these returns at approximately half the volatility of global equities. What is the fund designed to do? Which investments are displaying the best opportunities at the moment? 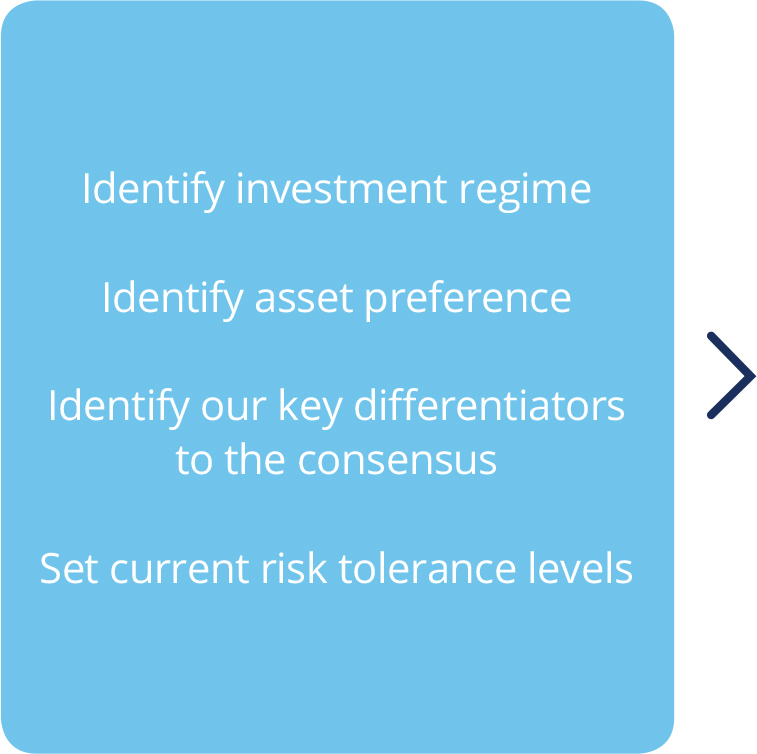 Simply put, we ask ourselves two questions, the answers of which inform our investment strategy across asset allocation portfolios, including Dynamic Real Return. The first is what is going to happen in the real world: for instance, how will inflation, economic growth, earnings and policy decisions develop over the next 12 to 24 months? The second question is: what is in market prices? 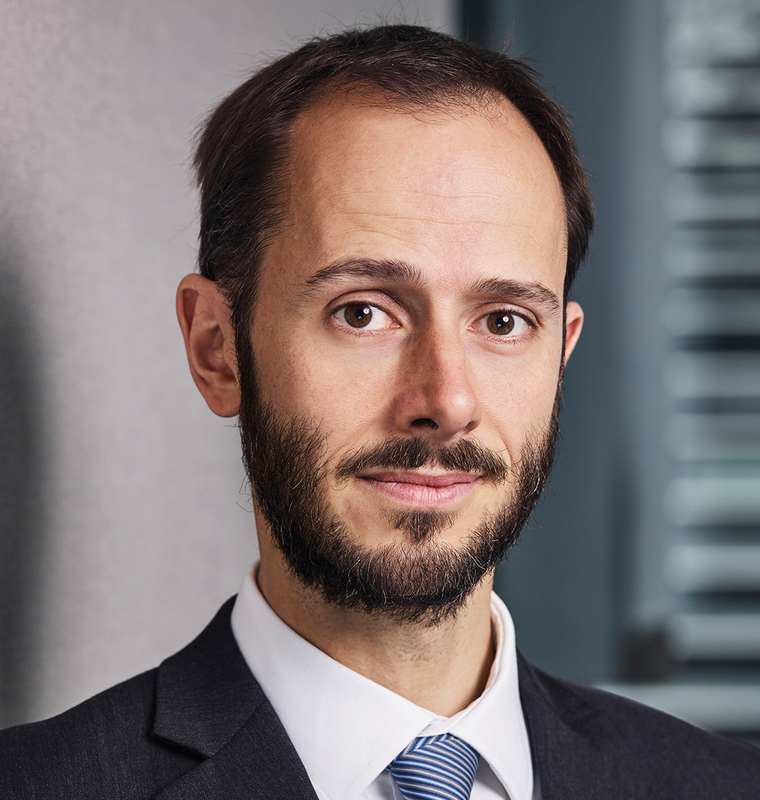 For example, if we anticipated that the Bank of England was likely to increase rates by 25 basis points next month, and our risk premium analysis revealed that this was fully priced in across UK assets, we then know that there is essentially nothing to be gained by taking a view on that market development within the portfolio. Once these two key questions have been answered we discern with colleagues where our differences within the market are, and concentrate the portfolio positions on those areas. 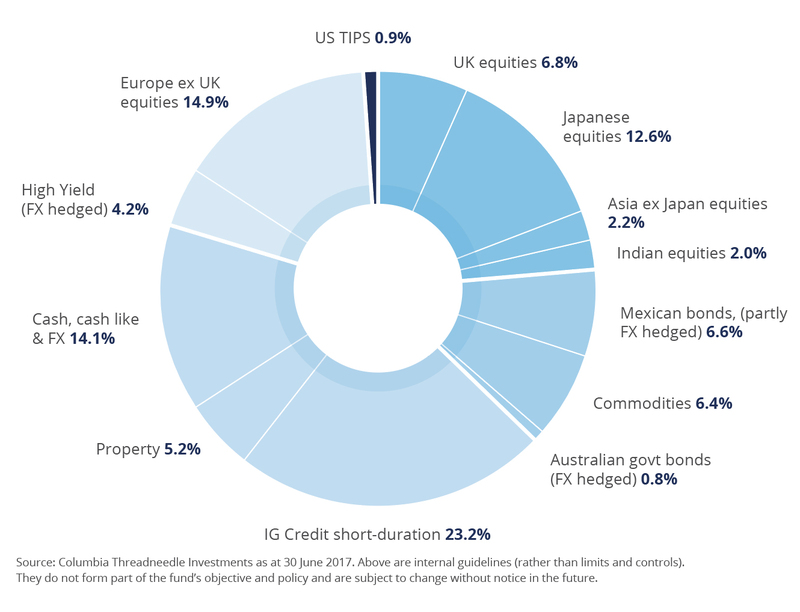 The Threadneedle Dynamic Real Return Fund is an active asset allocation portfolio which seeks to deliver UK inflation +4% returns with up to two-thirds of the volatility of equities over a three to five year period. 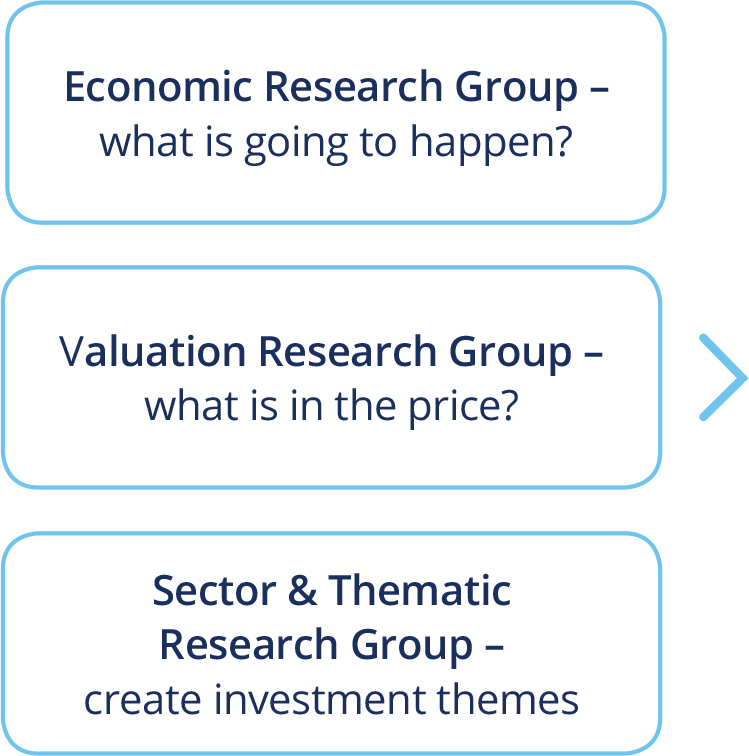 Our fundamental economic research, alongside a rigorous valuation framework, helps drive the portfolio’s construction. In addition, the fund can be zero-weighted in any asset, and there is no ‘neutral’ allocation (composite of market indices), so every investment position is a risk position. Every trade has to “earn” its way into the portfolio. We believe there will be stronger economic growth in the Eurozone and this will allow European companies with high levels of operating leverage, that is to say high fixed costs, to generate margin and revenue increases. 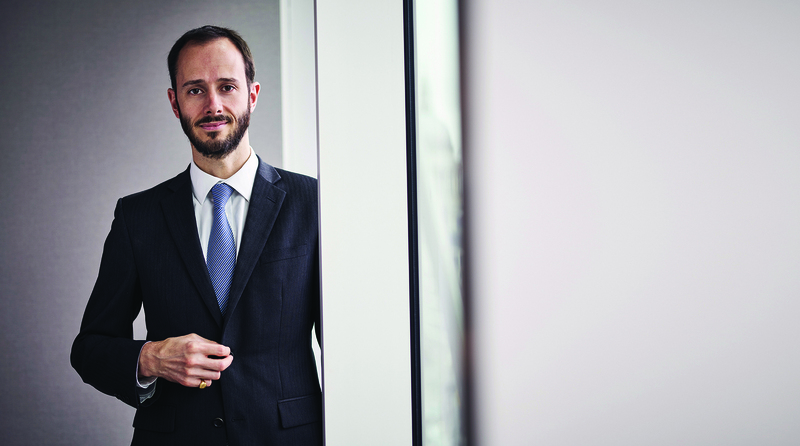 Therefore, we’ve recently increased our European equities allocation to around 15%. Another theme we are interested in is Japanese equities. Our Japan position has been in place for four years, and performance has been driven entirely by earnings. So far, there has been no valuation movement from cheap to fair in the sector – so in our view it remains cheap. A third theme is in UK short-dated investment grade bonds. We are getting a good pick-up in this area of fixed income, over and above Government bonds, because investment grade is generally unloved by pension funds and insurance companies in the current market due to the fact it is expensive to allocate capital against the sector within a Solvency 2 framework. What is your investment process and approach? Something we would like to increase our exposure to is US long-dated inflation-linked bonds. 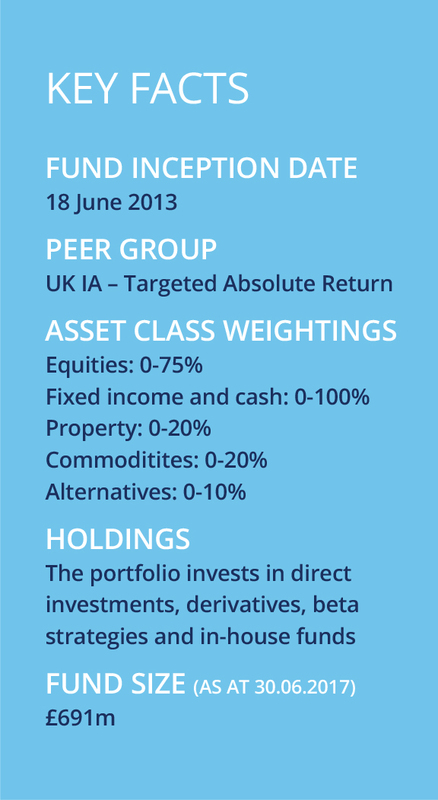 We have got a small position, about 1.25% of the fund invested in this asset currently. We bought the position at a real yield of about 1% and if we were to have a repricing of long-dated bonds, anywhere up to 2%, we may gradually increase our exposure to this sector. We believe long-dated and inflation linked bonds will start to fill the sort of role that historically long-dated fixed income was doing. This will then enable us to also take on more risk elsewhere in the portfolio due to it being non-correlated, or negatively correlated, with other asset markets. We don’t see very many opportunities to do that right now, but we’ve always got our eyes peeled. When there are opportunities to add such assets to the portfolio, we will do so. Risk is our starting point for portfolio construction: the overall risk of the fund, but also the risk associated with individual portfolio positions and how they interact with one another. We can have low or high levels of aggregate risk in the portfolio, which in turn is driven by where we see better risk-adjusted returns coming through. We look at various forms of market risk, currency risk and operational risk. The team identifies chief risks that we are managing, and makes sure these are taken on purpose, rather than by accident. Risk is therefore undertaken deliberately, and it is taken with the view that those particular assets will have an attractive reward attached to them. On some investments, we use hedging techniques to mitigate risk. In addition, we also combine a variety of risks that have historically been poorly correlated, and so qualitatively expect them to be poorly correlated in the future. Important information For internal use by Professional and/or Qualified Investors only (not to be used with or passed on to retail clients) Past performance is not a guide to future performance. The value of investments and any income is not guaranteed and can go down as well as up and may be affected by exchange rate fluctuations. This means that an investor may not get back the amount invested. Threadneedle Opportunity Investment Funds ICVC (“TOIF”) is an open-ended investment company structured as an umbrella company, incorporated in England and Wales, authorised and regulated in the UK by the Financial Conduct Authority (FCA) as a Non-UCITS scheme. Subscriptions to a Fund may only be made on the basis of the current Prospectus and the Key Investor Information Document, as well as the latest annual or interim reports and the applicable terms & conditions. Please refer to the ‘Risk Factors’ section of the Prospectus for all risks applicable to investing in any fund and specifically this Fund. The above documents are available in English only and may be obtained free of charge on request from Columbia Threadneedle Investments at PO Box 10033, Chelmsford, Essex CM99 2AL. This presentation is not investment, legal, tax, or accounting advice. Investors should consult with their own professional advisors for advice on any investment, legal, tax, or accounting issues relating an investment with Columbia Threadneedle Investments.The mention of any specific shares or bonds should not be taken as a recommendation to deal. 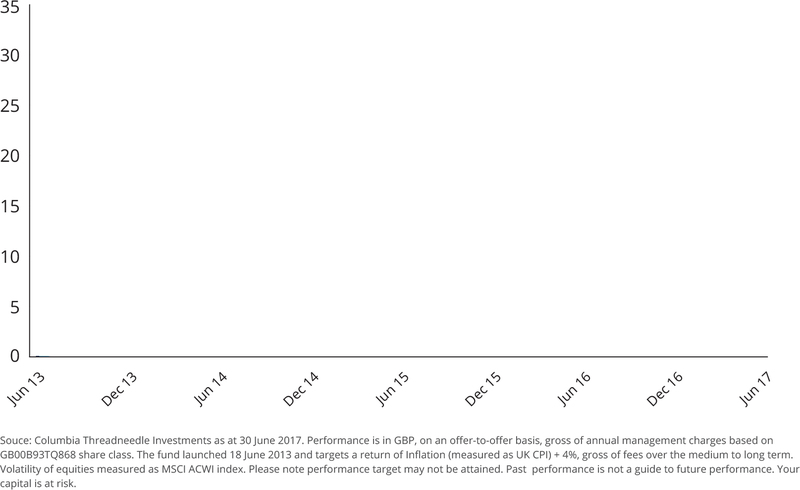 Please note performance target may not be attained. This material is for information only and does not constitute an offer or solicitation of an order to buy or sell any securities or other financial instruments, or to provide investment advice or services. The research and analysis included in this document has been produced by Columbia Threadneedle Investments for its own investment management activities, may have been acted upon prior to publication and is made available here incidentally. Any opinions expressed are made as at the date of publication but are subject to change without notice and should not be seen as investment advice. Information obtained from external sources is believed to be reliable but its accuracy or completeness cannot be guaranteed. This presentation and its contents are confidential and proprietary. The information provided in this presentation is for the sole use of those attending the presentation. It may not be reproduced in any form or passed on to any third party without the express written permission of Columbia Threadneedle Investments. This presentation is the property of Columbia Threadneedle Investments and must be returned upon request.Issued by Threadneedle Investment Services Limited. Registered in England and Wales, Registered No. 3701768, Cannon Place, 78 Cannon Street, London, EC4N 6AG, United Kingdom. Authorised and regulated in the UK by the Financial Conduct Authority. Columbia Threadneedle Investments is the global brand name of the Columbia and Threadneedle group of companies.